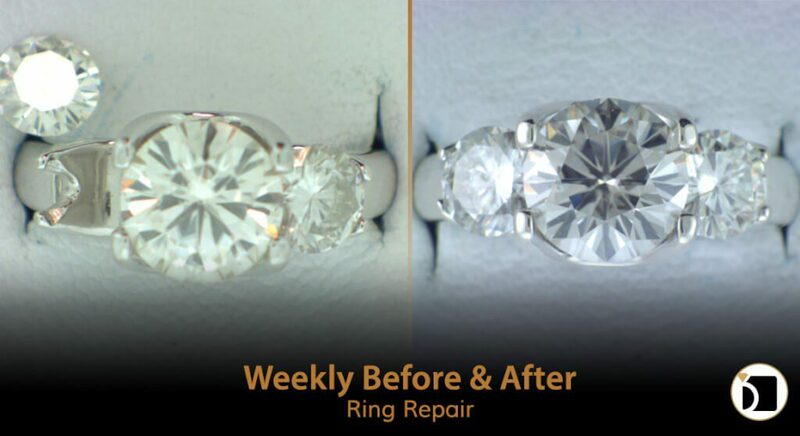 On this edition of the Weekly Before & After, we have a silver ring with a stone that needs to be reset. This ring is top heavy and spins around on the finger, which may be the reason the stone was knocked out of the mounting. -Add stabilizing beads to help prevent it from spinning around on the finger. Then we finish with our professional clean and polish and it’s good to go!